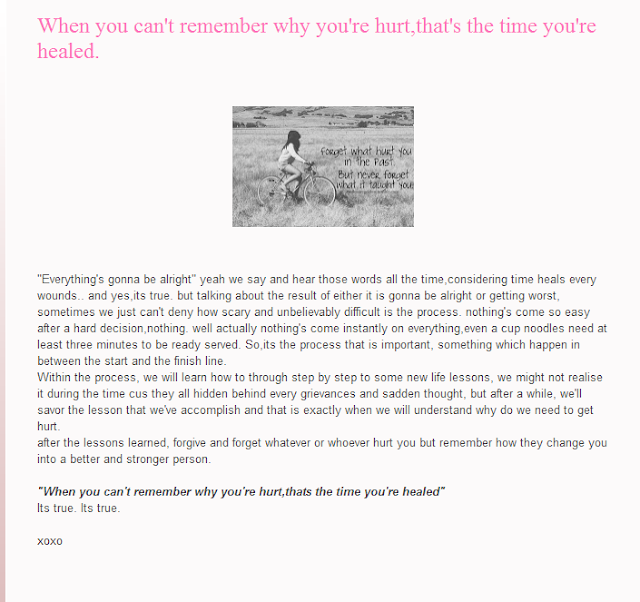 I opened my old blog and found this.. It's written in 2010 by me, which means 2 Years ago!! How come life goes so fast? and this is why i love to write,even after years latter some of the things i write still make perfect sense. "When you can't remember why you're hurt, thats the time you're healed"
This line will obviously never gets old.